Super Smash Bros. Ultimate set to release in December. And since 'everybody is here,' Shacknews is taking some time to break down each of the game's characters individually, continuing with Fire Emblem's dragon warrior, Corrin. Today, we take a look at one of the more recent additions to the Smash Bros. series... and to the Fire Emblem series. One of the final DLC characters for Super Smash Bros. for Wii U/3DS, Corrin is the lead character of 2016's Fire Emblem Fates. Corrin was caught between two families. He/She (Corrin's gender was up to the player, just as it is here in Super Smash Bros.) was the offspring of King Sumeragi and Queen Mikoto, but was kidnapped as a child and raised by the Nohr royal family. The two royal houses are at odds throughout the game and it's ultimately up to Corrin to decide where his/her loyalties lie: to his/her true birth family or to his/her family that raised him/her with love. It's not an easy choice, which the Smash Bros. series lovingly lampooned in the original Corrin reveal trailer. Corrin wields the Yato blade, a serrated fire sword. But if that's not fiery enough, Corrin also has the ability to transform into a powerful dragon. Corrin's greatest strength is his/her weapon, the Yato blade. Not only is it a great offensive weapon, but it gives Corrin one of the longest reaches in the game. Like some of the other Fire Emblem characters, Corrin has a tipper mechanic that rewards players who can score hits with the tip of the sword's blade. Dragon Fang Shot (Neutral B): Corrin fires off a ball of water that can momentarily paralyze opponents, while knocking them back. 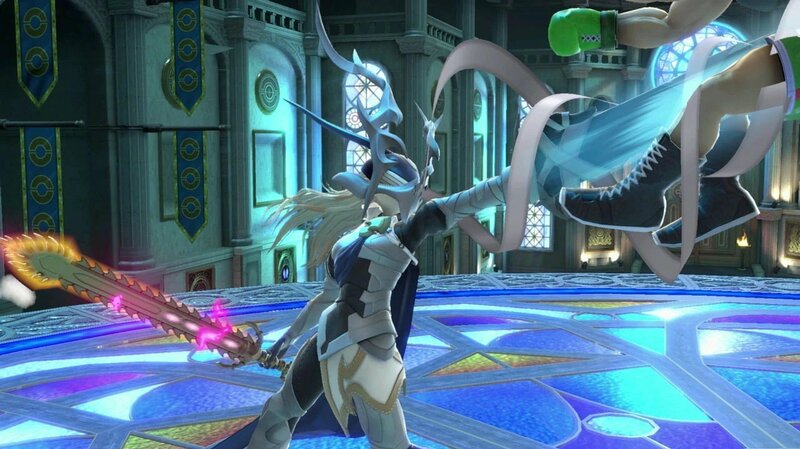 Corrin's hand transforms into a dragon, which can bite nearby opponents. The bite is tougher to connect with, but it can score heavy damage. Draconic Ascent (Up B): Corrin shoots at an angle with a set of wings. It has relatively poor recovery distance, but can hit multiple times and score serious knockback when it connects with opponents. Dragon Lunge (Side B): This is Corrin's most reliable move and dangerous in the hands of veterans who know what they're doing. Corrin short hops and strikes diagonally down, transforming his arm into a spear and stabbing the ground. This move allows Corrin to stop on a dime and cancel into a kick, which can cause heavy damage. The spear itself also causes heavy tipper damage and intense knockback. Even when Corrin overshoots a target, he/she can turn around and land a swift kick in the other direction. It's a little bit easier to counter Dragon Lunge in Ultimate, since the kick distance has been reduced and the pin duration has been reduced. Counter Surge (Down B): This is Corrin's counter move. Unlike the other Fire Emblem characters, Corrin will transform into a dragon, pounding the ground and launching characters with water surges. Because of the launch angles, Counter Surge can be wildly powerful and even has KO potential near the tops of certain stages. Torrential Roar (Final Smash): Corrin strikes with a Counter Surge. 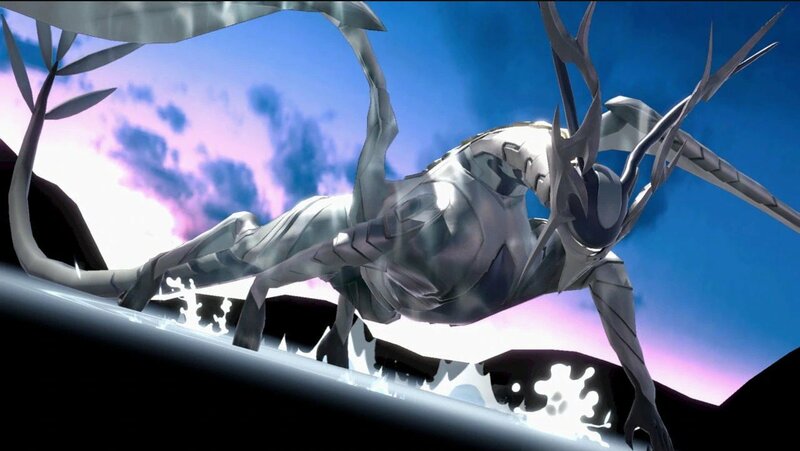 If it connects, opponents are at the mercy of Corrin's dragon form, which strikes with a powerful whirlpool. While not as effective as in Smash 4, Corrin can still wreak havoc with Dragon Lunge, flying horizontally across the stage, while also halting any forward momentum. Corrin isn't the fastest character in the game, but can be annoying for opponents to try and nail down. There are elements of Dragon Lunge that have been nerfed, but it did receive one major improvement: it can now be canceled. In Smash 4, if Corrin strikes down and pins the ground, the player is forced to kick in one direction. In Ultimate, Corrin can simply hit Down to cancel the move without being forced to fly out of control. Aside from those changes to Dragon Lunge, there aren't too many changes to Corrin heading into Ultimate. One thing to note is that Corrin's throws have been adjusted, offering new knee strikes to his/her grab and a much improved down-throw. One of the bigger stories of competitive Smash 4's final days has been the rise of Brian "Cosmos" Kalu, the top Corrin player in the world. Cosmos didn't start traveling around until 2016, but his improvement has been considerable and he now stands among the best players in the world. One would think he'd be thrilled with Corrin heading into Ultimate, but that doesn't entirely seem to be the case, as he seems to be more into Inkling for the moment. James "VoiD" Makekau-Tyson recently offered a full breakdown of Corrin. He also observed that many of Corrin's moves have remained the same, drawing attention to Corrin's aerials and how the character will be benefitted by Ultimate's landing lag reduction. While we mentioned the ability to cancel out of pin, it won't always be beneficial to the Corrin player. Here's Matthews "Xzax" Liberatore demonstrating that canceling a pin can actually lead to a punish. Lastly, Victoria "VikkiKitty" Perez has been known more for her commentary, but she's also a Corrin main herself. And she got a chance to try the character out at E3, discovering a few things about her main, as well as a few different things about Mewtwo, who we'll touch on in a future segment. Super Smash Bros. Ultimate is set to arrive in December on Nintendo Switch. Shacknews will continue looking into each of the game's characters from now through launch and beyond, so be sure to come back for more breakdowns over the coming weeks. For more information concerning Nintendo's latest Switch brawler, be sure to head over to Shacknews' Super Smash Bros. Ultimate walkthrough and guide.